If your product needs to issue a serial number from a pool of serial numbers to each customer upon purchase. If your product needs to issue a license key from a pool of pre-generated license keys to each customer upon purchase. 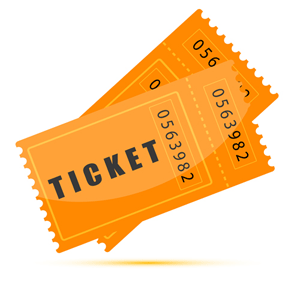 If you are selling tickets and you need to give a ticket number (from a pool of pre-generated ticket numbers) to each customer upon purchase. Step 1: Generate your key codes/license codes/ticket numbers (you can generate as many as you want). These key codes that you generated should be separated by comma (,). Example: The following is an example of 9 key codes that are separated by comma. Step 3: Use the following email tag in the “Buyer Email Body” field of eStore’s settings. The serial key will be inserted at that spot of the buyer email when a customer purchase the product. All done! Now, when a customer purchase a product that is using the serial key codes feature explained above, eStore will issue one key to this customer and update the database so the next customer will get the next key code. Alternatively, you can integrate WP eStore with our license manager plugin if you want to auto generate license keys when a customer purchase an item. The plugin will email the generated license key to the customer. @Brent, You should just be able to copy and paste the keycodes. This feature doesn’t generate any keycodes, it simply dispatches the ones you configure in the product. Is there a way to import keys not generated through your product?